A new drug has been created which can wipe memories. 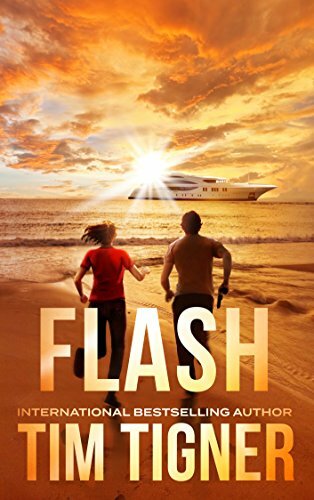 Emmy and Troy fall victim and must figure out why several years worth of their memories have been erased and how to prevent the drug being used for criminal purposes. A quick, easy read and not too taxing on the brain. Enjoyable. Two blood-spattered strangers awake, locked in the trunk of a car—with a murdered cop and the smoking gun. Aside from raging headaches and no idea what’s happened, they appear to have nothing in common. Troy thinks it’s 2001 and he’s still a combat surgeon fighting terrorists in Afghanistan. Emmy believes it’s 2002 and she’s still grifting a living from the streets of L.A.
Are they archenemies or co-conspirators? Lovers or friends? What are they doing in the Caribbean, and why is a Croatian assassin determined to kill them? The only thing they know for certain is that they’ll be spending the rest of their lives in prison if the police catch them before they learn the truth.